Transform the health system with the power of digital. Transforming the health system with the power of digital. Keeping pace with your stakeholders' expectations and making sense of your data can be the difference in helping to improve health system performance. Don’t want to lag anymore? When it comes to digital, the healthcare industry may have lagged behind other sectors but not anymore. Digitally speaking, health and healthcare organizations are moving faster than ever. We’re one of the few digital agencies in Canada with a dedicated healthcare practice. We work with you to bring together governments, other health organizations and healthcare providers to improve Canada’s health system and we love it. Our smarts and our size enable us to pivot quickly so you always remain on top of your digital plans. The medical system collects a vast amount of data and you use it to affect change in the system. You struggle to manage stakeholders, information, and regulations and build an integrated system of information. You have databases, measurements, standards, reports and analyses. With so much information (sometimes too much information), it can be hard to get it to the right people in the right ways. We’ve helped organizations like the Canadian Institute for Health Information, The Canadian Patient Safety Institute, The Canadian Nurses Association, and The Canadian Partnership Against Cancer to plan and build effective digital systems. 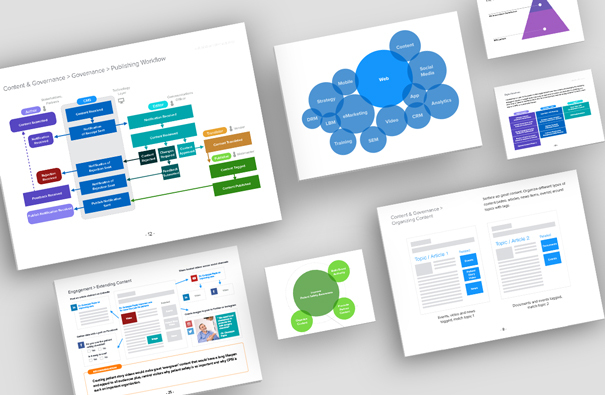 We found ways to make the complex simple – to categorize, tag and present data and health information in new and meaningful ways and to engage internal and external stakeholders. Thank you … I can’t say that enough! We’ve conducted sound user research and have performed usability testing programs with both small groups and over 700 stakeholders at a time. With our help, our partners have acquired the digital skills they need to fuel their digital transformations. We enjoy collaborating and will work with other consultants and vendors where we act as the strategic lead. We want to help you tame your data and keep Canada at the forefront of health innovation. Contact us to talk about how we can help you transform your digital systems. 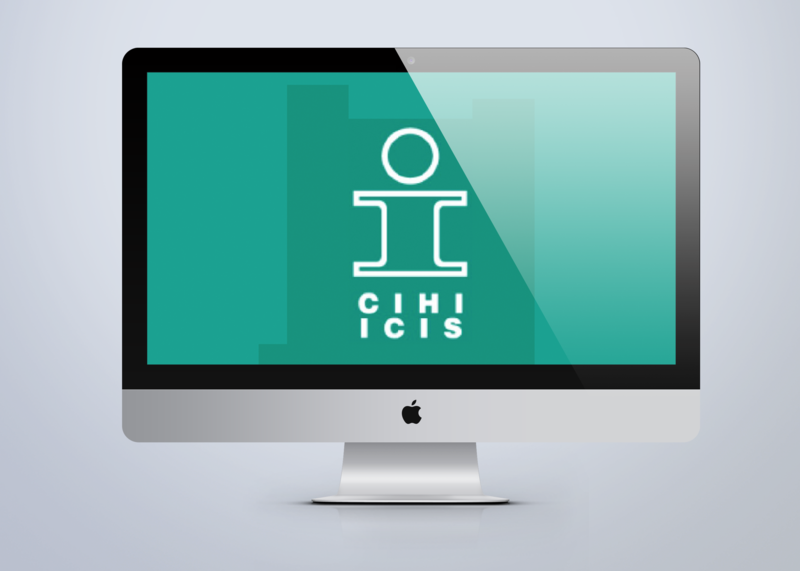 Sometimes you just can’t see the forest for the trees, and that’s what happened at CIHI. We conducted a digital audit and helped the people at CIHI realize that--as the source for Canada’s health information--their website is not simply a communication tool. It’s the core of their business. 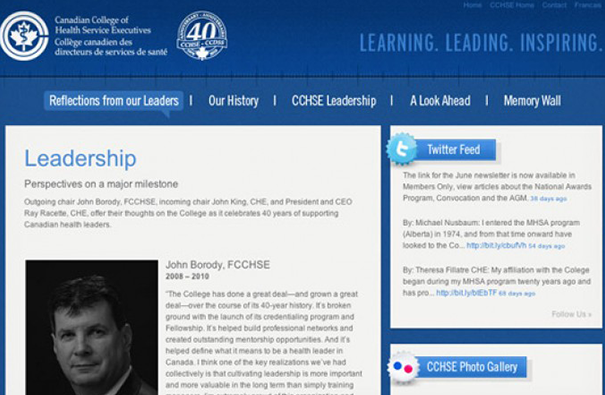 bv02 collaborated with CCHSE to create a functional and inspiring site that accurately displays their evolution. 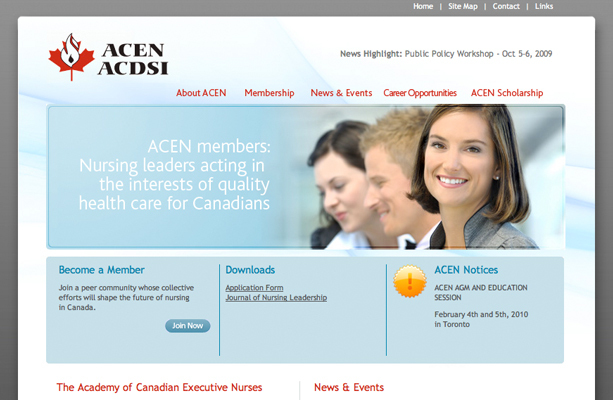 bv02 collaborated with The Academy of Canadian Executive Nurses (ACEN) to redesign the organization's website. mHealth is an increasingly valuable and effective tool to help remain relevant to younger generations, while also providing advanced solutions to older generations that are in need of more in-depth care. mHealth does this by: providing location-based services, tracking vitals, instant feedback, real-time documentation, testing for diseases. Andrew's Espresso Shot: What is Open Data, and why am I so excited about it? Read More about Andrew's Espresso Shot: What is Open Data, and why am I so excited about it?